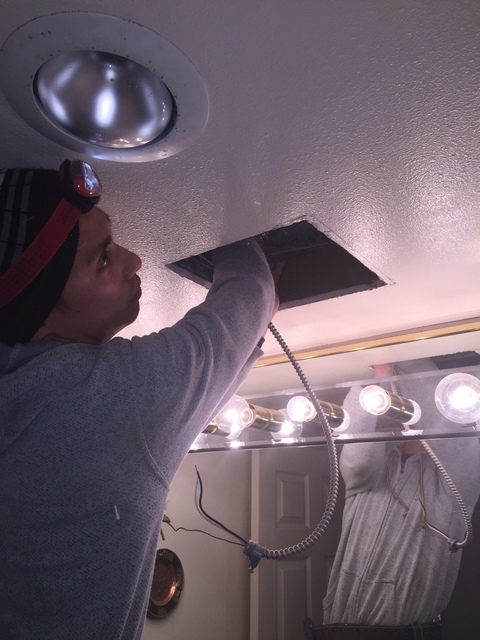 We had Robert install light fixtures in a condo that did not have any existing lights in the bedroom, LR, or DR. We also had some plugs moved and programmable thermostats installed. Robert was very easy to deal with and gave us prompt and professional service. He pays attention to all the small details of the job. Robert and his colleague have just changed 7 lighting fixtures (2 of them being ceiling fans) and dimmer switches in our apartment. We are very pleased with their efficacy and professionalism. They were punctual, worked at a fast pace, and did an amazing job. We are strongly recommending them to anyone who is looking for reliable and experienced electricians. Hi Ron, Thank you for taking the time to place a review in HomeStars it is greatly appreciated. Yes George and I have been working together for some time now and we seem to of put a system together that works well with less damage than most when it comes to knob n tube rewiring. Robert did an amazing job! I needed 3 hard wired smoke detectors in 3 bedrooms. 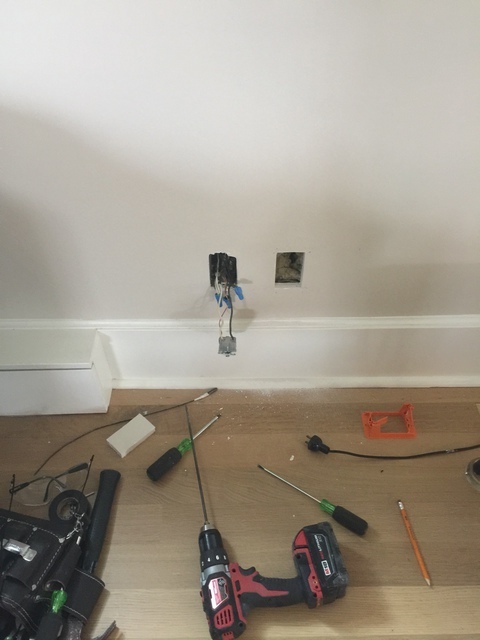 He was able to fish the wires through the walls with no visual damage to the drywall. Looks great! Put in 4 bathroom fans and installed dimmers. Robert was punctual, reliable, reasonably priced and very pleasant. I would not hesitate in using his services again. Job well done you two!!! Hi, thank you for taking the time to leave a review. We have many many years under our belt and can always figure out a way to do as little damage as possible. And in cases like yours no damage at all. Right from the start Robert was punctual. Provided us a quote that was right in the middle of all quotes received. Gave my wife and I lots of information and samples for how to decide on lighting choices for a full kitchen renovation. Was always on time and was able to show up on short notice. Robert and George did a great job and the end result is a phenomenal kitchen. 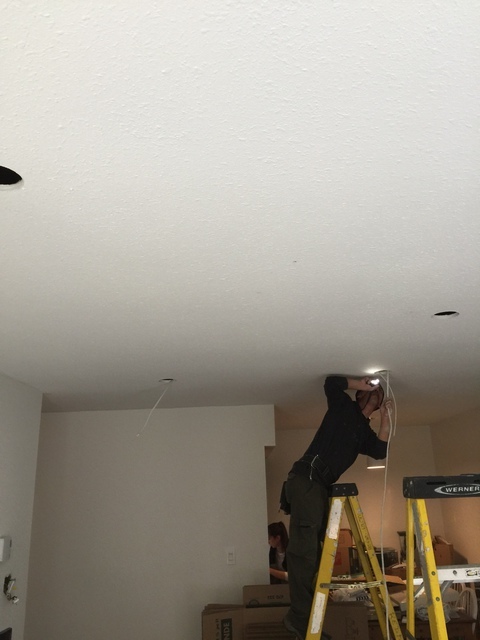 Congrats on finding this electrician on Home Stars. After my research, I contacted them by email, and Mr. Redford helped to clarify the inexpensive solution to my electrical panel problem. With several exchanges we added other small items to the work order to make it worth the trip. The assigned electrician (George) showed up on time, and completed all the work in a superior and professional manner for a good price. Would highly recommend, and will definitely use them again for my future needs. Thank you sir, Glad to help... and yes George rocks!! 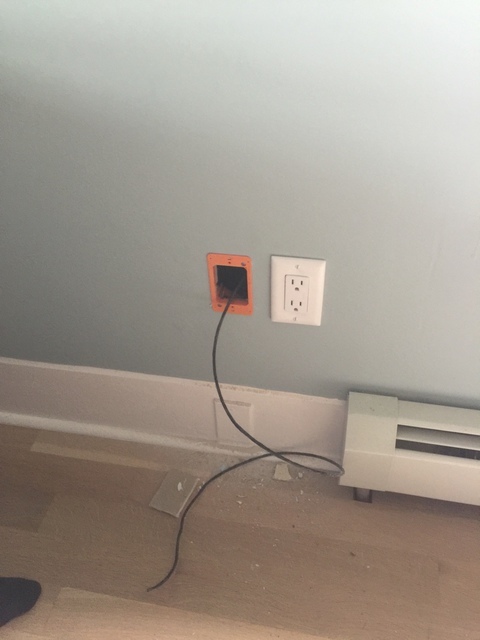 We had French doors installed and the installer didn’t properly remove an electrical outlet. Robert responded to my quote request on this site quickly and was onsite the next afternoon. It was a fairly quick job as he’s clearly very experienced. Also, I found pricing to be fair. Overall, I’m a happy customer and wouldn’t hesitate to use him again. I wanted to replace 3 old and ugly track lights with 4 pot lights and pendants I contacted several companies. choosing from the best rated on homestars. Robert was the only one that said the job could be done with minimal damage, and his quote was easily the best. As he is in high demand , you might have to wait a bit for his services, but he fit me in when he had a cancellation. He is worth waiting for. 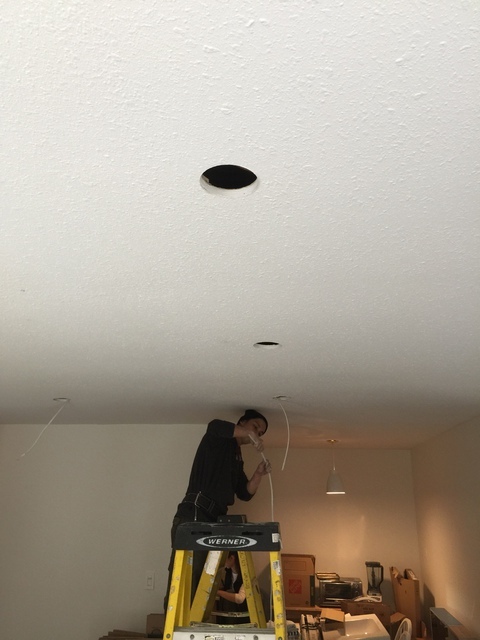 Laid back, a good listener and highly skilled, the lights look fabulous and even though he needed to install a new box in the ceiling for the pendants, the only repair needed is 6 screw holes that held the tracks. A very happy customer! Robert Redford Electrical Services is an electrical contracting company located in New Westminster, British Columbia. Our central location allows us to respond to your service needs more efficiently. 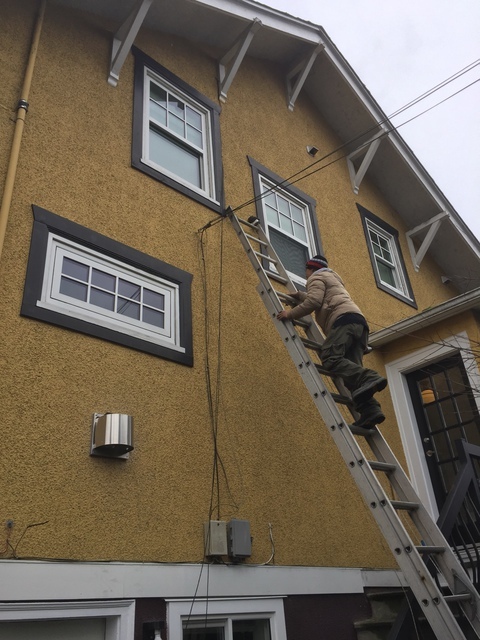 We have years of experience in delivering electrical services to residential and commercial customers throughout the Lower Mainland. Our experience is in all aspects of electrical and has allowed us to deliver prompt and accurate quotes in a timely manner for your consideration. Our electricians are experts in the essential electrical services required in our communities. Our main focus is to provide prompt and reliable service to our customers at a competitive price. Our electrical service coverage area is the entire Lower Mainland. We are a Licenced, Bonded and an Insured company ensuring a standard of excellence to our customers. At Robert Redford Electrical Services we only have Certified Journeyman Electricians showing up at your door. Our electricians are specific to your needs, should you require an electrician for commercial applications we have electricians that work and specialize in that field; the same for our residential customers, we will send our electricians with years of experience in residential wiring. 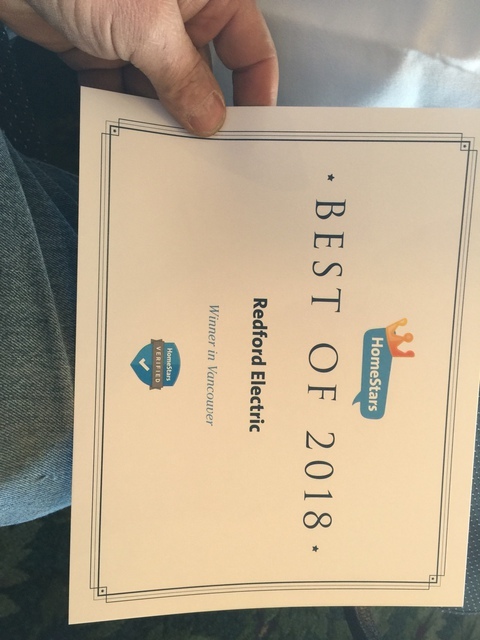 Robert Redford Electrical Services will show you the respect you deserve and expect. We give you a written quotation , to cover everything required for your specific installation, as well as the cost for installation so there are no surprises. Our estimates are itemized so you know exactly what is included for your specific application. Written, Itemized,and Detailed Proposals to eliminate any surprises.